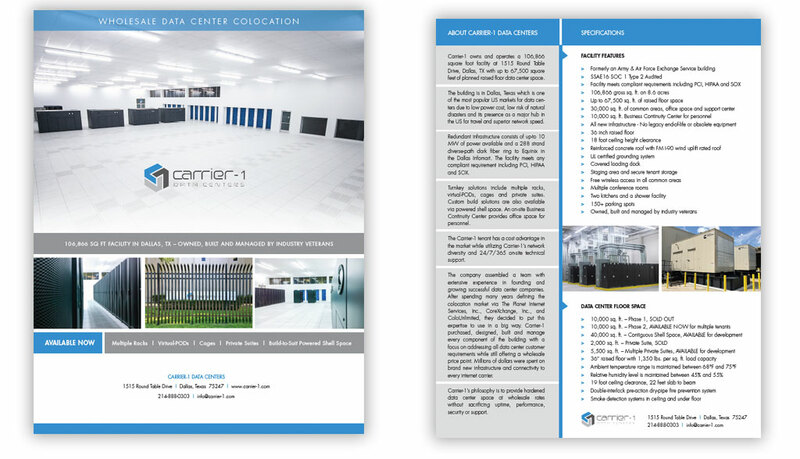 Carrier-1 owns and operates a 106,866 square foot data center building in Dallas, Texas. 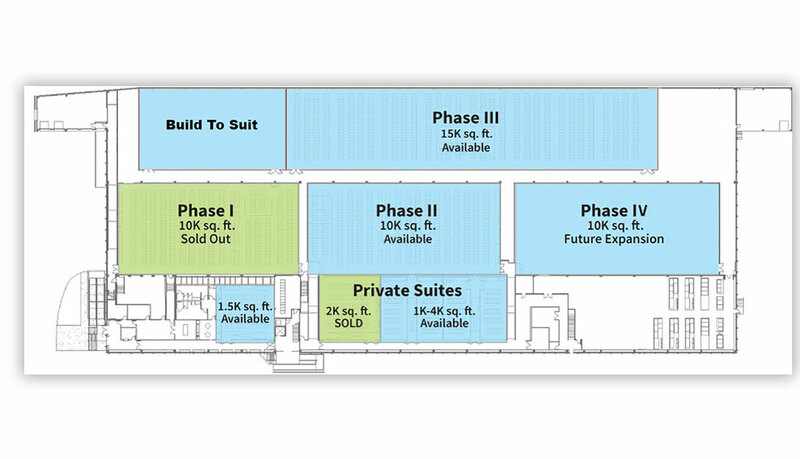 Customers may lease colocation space within the building at wholesale rates. 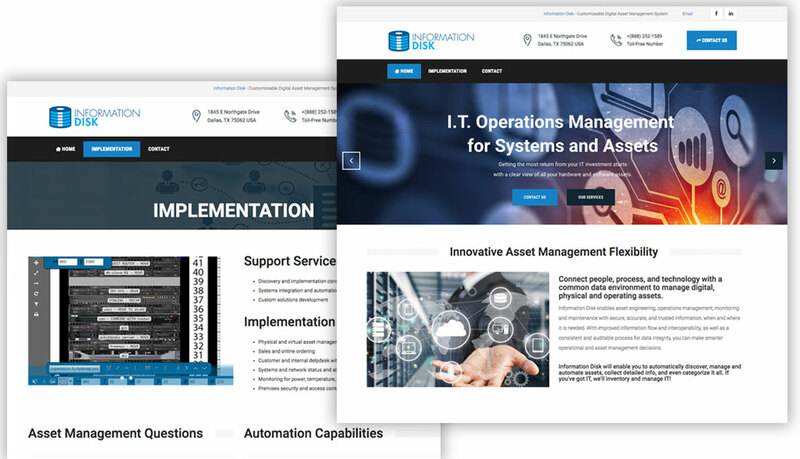 Offering wholesale rates while not sacrificing uptime, performance or security empowers customers with a cost advantage in their market. 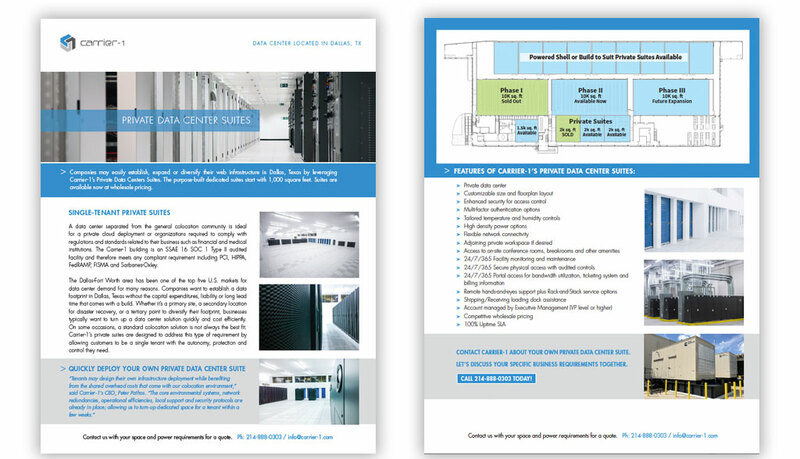 Empire has worked with Carrier-1 Data Centers on a variety of projects including corporate sales and literature, web site modifications and updates, and diagram illustrations of the facility. Empire provides out sourced design service for the internal marketing department.